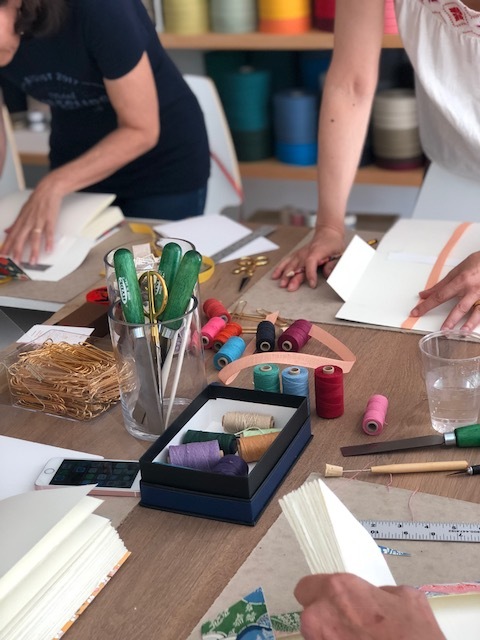 We hosted a series of bookbinding workshops with long time friend Bari Zaki and it was amazing! 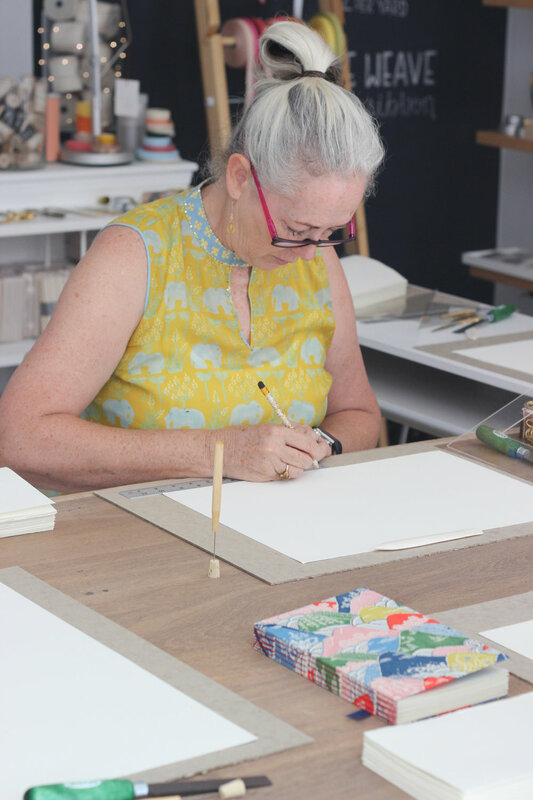 The stacks of paper, sewing signatures with linen thread, the Japanese paper cover, all brought me back to the time I used to sew hand bound books and it was wonderful! Thank you Bari Zaki for sharing your expertise with us, we can wait for the next bookbinding session! and in Bari’s own words: “Saturday's Buttonhole Stitch workshop had seven students—the largest class I've ever taught, in the smallest space. We were shoulder to shoulder, happily working in unison, and the mood was calm, focused, and incredibly congenial. Angela magically served up espresso and iced Pellegrino. Several people commented that they spend so much time on the computer, that making something with their hands they can actually touch is so satisfying. Everyone was thrilled to be taking home a completed book and their essential bookbinding tools”.